1. The tax system. The tax rate is 10%, the lowest among all EU Member States. 2. The qualified and cheap working force. The absolute minimum of the salary is around 255 euro per month, four times lower than that in Greece. 3. The cheap cost of living. Bulgaria is the cheapest country in the European Union in terms of food, clothing and real estate. 4. The short distance between Bulgaria and Greece. Bulgaria is the only member of the EU that has borders with Greece and Turkey which turns the country into an entrance to the EU. Thanks to the tax reform of 2007, the state strives to promote entrepreneurship and a transparent and well-working tax system in line with the EU regulations. With this reform, the progressive tax system is replaced with flat tax 10% which applies to the taxation of the companies. There are excise duties on alcohol, tobacco products, luxury automobiles, electricity and petrol. 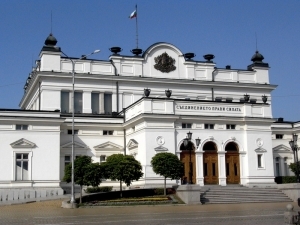 Bulgaria has signed Double Tax Conventions (DTCs) of avoidance of double taxation. Greece and Bulgaria have signed convention for the avoidance of the double taxation in relation to income tax and capital tax. (Act 2255/1994, Official Gazette 195/18.11.1994).